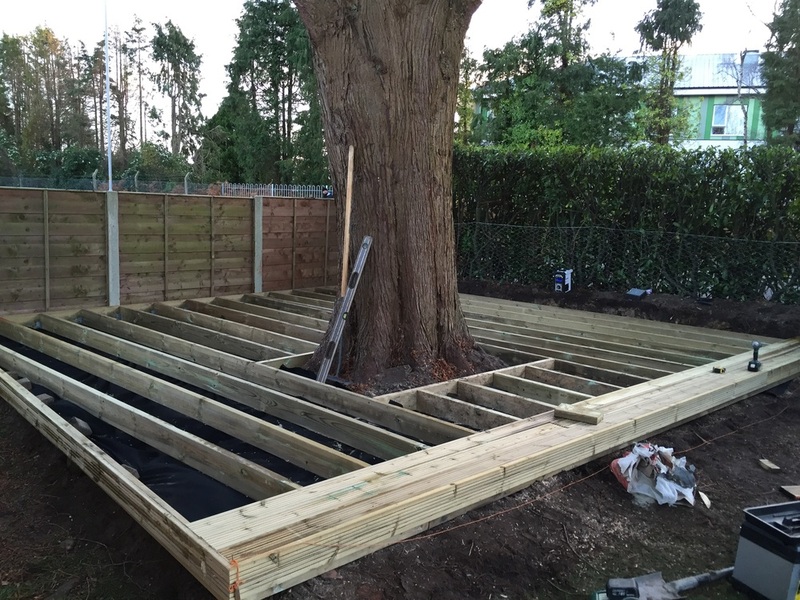 We have used Grooved Decking to form a deck to the rear of this property, using a 6x2 frame with sub-frame. 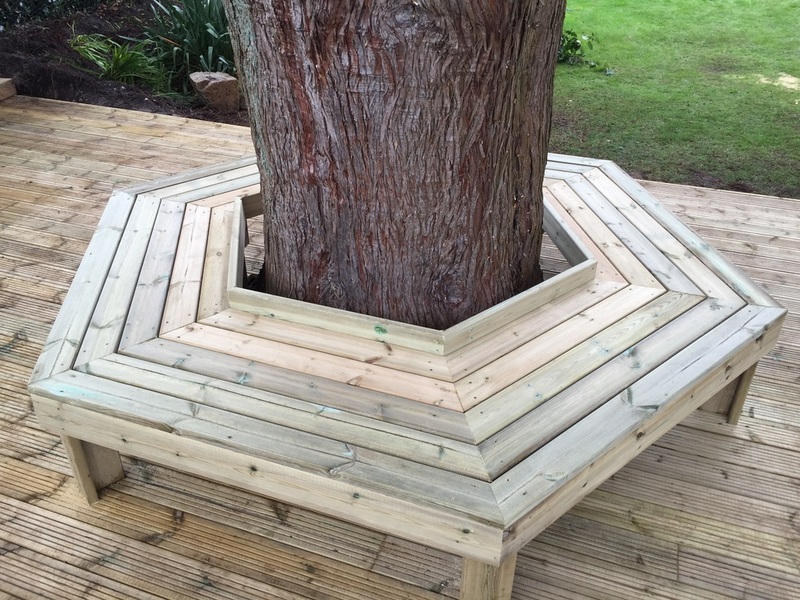 To make a feature of the tree we have built a hexagonal tree seat. We use pressure treated 6x2 C24 graded joists to form a solid frame.